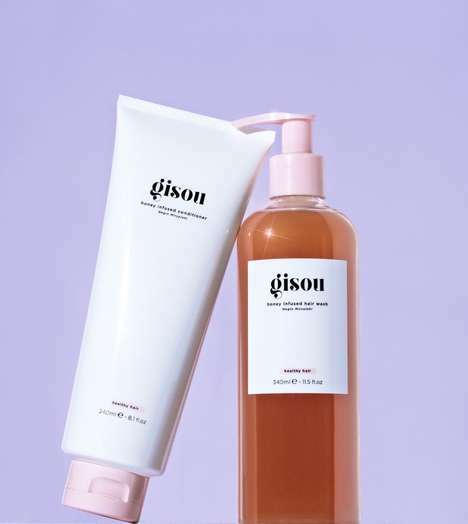 Gisou’s newly reformulated Honey Infused Hair Wash and Conditioner are now available with formulas that are free from sulfates and silicone. As ever, the nourishing haircare products from the brand prominently feature its signature honey from the family bee garden. While the Honey Infused Hair Wash boasts purifying and cleansing properties, the Honey Infused Conditioner is touted for its conditioning and strengthening benefits. Both of these products spotlight honey as a natural humectant, which plays a part in maintaining the natural moisture balance of the hair for silky, shiny and soft strands. The products are best used alongside one another, and they are suitable for all hair types, as well as safe for use with colored and chemically treated hair.